People did not get my last post. This is more obvious. HP expenses advertising costs as incurred or when the advertising is first run. Such costs totaled approximately $1.2 billion in fiscal 2011, $1.0 billion in fiscal 2010 and $0.7 billion in fiscal 2009. From the last Apple form 10K. Advertising costs are expensed as incurred. Advertising expense was $1.0 billion, $933 million and $691 million for 2012, 2011 and 2010, respectively. Hewlett Packard spends more on advertising than Apple. 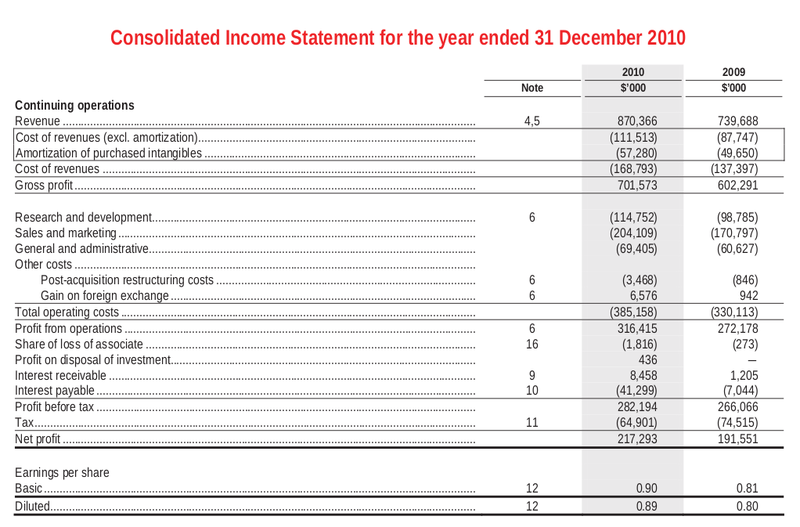 I like to measure advertising expenses in "Coca Cola companies", a Coca Cola company being about $3 billion per annum. 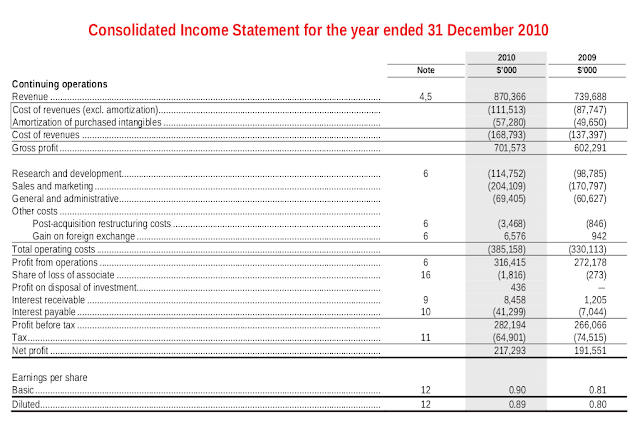 Here is the advertising expense for Hewlett Packard from their latest 10K. Not in my wildest dreams would I have guessed that HP would spend a third of a Coca Cola company on advertising. I do not disbelieve the number - but I am stunned. A few weeks ago I presented at the Santangels conference in New York. The conference was held under Chatham House rules. My topic: how to fake your accounts from the perspective of the fraudster (and hence how as an investor to tell if a company is faking its accounts). At the end I suggested that even if you were right and the company was a fraud you could still short the stock and lose money - someone with deep pockets might buy the fraud. The example I gave was Autonomy which was purchased by Hewlett Packard. Yesterday Hewlett Packard admitted that Autonomy was a grotesque fraud. They wrote off most of the purchase price. Chatham House rules don't much matter in the face of a major scandal (and Autonomy is a major scandal). So this morning (Australian time) my email was full of press asking for on-the-record comment. I commented to both Deal Book (New York Times) and Reuters. I tested my draft Santangels presentation on Jeff Matthews - so he had my views on Autonomy. He broke silence on his blog. Jeff is critical of Meg Whitman's comments that they "relied on the audited accounts". He observes that I relied on the same audited accounts. That is fair comment: I could tell the accounts were not kosher from an office in Sydney. I was not alone - Jim Chanos came to a similar conclusion. So did many people in the UK including the writers of FT Alphaville who have been sceptical of Autonomy for years. In other words my insight was not unique: many other people (including more than one blog reader) shared similar insight. I claim no special genius. And I was not entirely right either. I knew Autonomy was problematic. I underestimated the problems: Autonomy appears worse than the worst case I modelled. For the record here is how you could tell - just by looking at audited accounts - that Autonomy was not quite kosher. There are lots of things to note - but I will limit myself to the simple (which I put in the Santangels presentation). Receiveables were $330 million - which is four and a half months of receiveables. Deferred revenue is $177 million - just over half of receiveables. This is really perverse for a software company. Software companies sell stuff that is barely tangible - they sell it up front and for cash. They have very few receiveables. They do however have an obligation to service that software for a long time after they sell it - so the unearned income is relatively large (usually a multiple of receiveables). Autonomy was booking as income lots of cash it had not received (which is why the receiveables were large) and not booking any obligation to provide future services for that income. 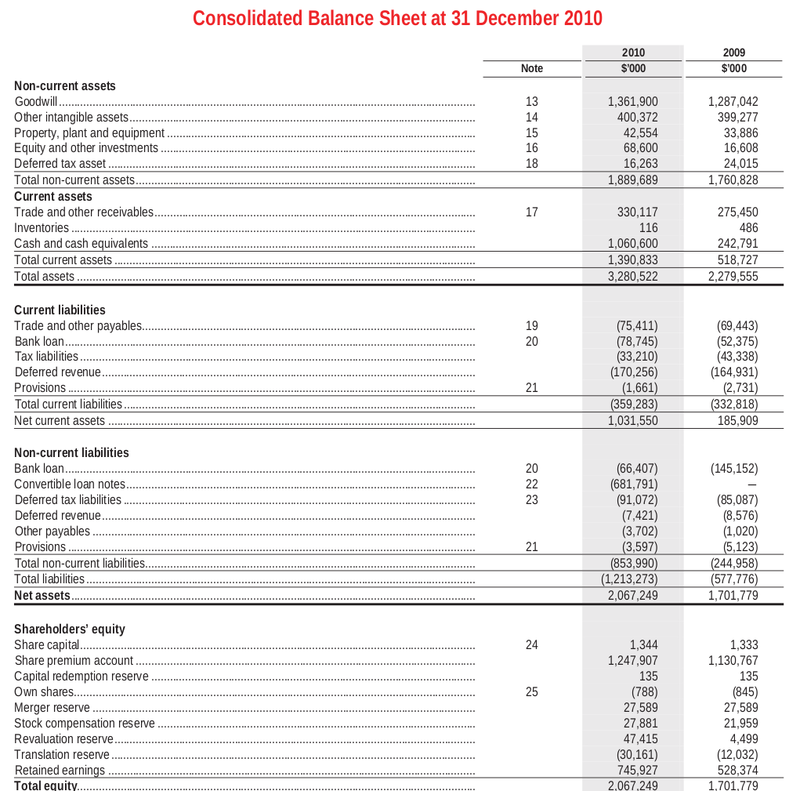 This is prima-facie suspect (and you could tell simply by looking at the balance sheet). All it required was basic applied accounting. The management (and for that matter the board) of Hewlett Packard have diverse responsibilities. Most importantly they are responsible for technology - and the technological issues are broad. They are also responsible for accounting and financial management. I have simply no opinion on who stuffed up on the technical issues. Hewlett Packard asserts there are still some (small but) valuable businesses at Autonomy. Maybe the tech is not all bad. But I am happy to point the finger on accounting. The accounts were self-evidently suspect. Working that out is primarily the job of a finance and accounting function at Hewlett Packard - and that function was led by and continues to be led by Catherine Lesjack. Catherine Lesjack is ultimately responsible for the financial parts of HPs due diligence on Autonomy and she failed. This really is not rocket science. Lesjack is not up to the job. She should resign. PS: There has been much criticism of Meg Whitman in the blogosphere, twitter and amongst my readers. I do not think that is fair. Autonomy was a deal done by Leo Apotheker (the previous CEO) and the current CFO Catherine Lesjack - it is them who bear primary responsibility. 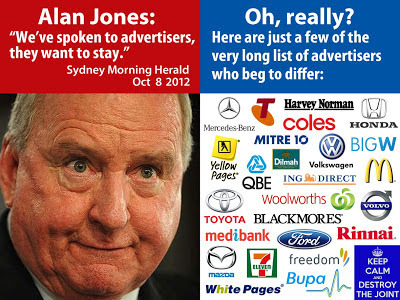 Alan Jones is a right-wing radio shock-jock in Australia - in the tradition of Rush Limbaugh or maybe even Howard Stern. He offends many people (myself included). But then I am an avowed liberal. He has a moderate but rusted-on audience - about 160 thousand people - or a low single-digit percentage of the population. This is not the the biggest audience by number - but it is the biggest audience by hours listened because the audience is rusted on. They turn the radio on and do not turn it off. He has the largest average audience. He probably also has the most swing because the audience hews so close to his view that he moves markets and votes. Jones is after all fabulously persuasive with a microphone and an ability to drown out all opposing views. He is truly a "great communicator". Whether you take offence at "Jonesey" depends partly on your personal politics. Jones does not offend my (avowed conservative/libertarian) business partner (though I doubt BP ever listens to him). He has always been (in a Rush Limbaugh sense) important to the conservative parties in Australia - he motivates right-wing voters in that swathe of outer-Sydney metropolitan seats which are crucial to electoral success in Australia. Conservatives (at least publicly) tend to like him. The conservative press rally around him. Alan Jones unsurprisingly is opposed to our unmarried female, athiest and left-of-centre Prime Minister*. When he said that she (along with the Sydney Lord Mayor) should be sown in a chaff-bag and dumped at sea it was interpreted as a joke. The joke went too far though when he suggested at a closed dinner that the Prime Ministers father (who died that week) had died of shame. An anti-Jones sentiment that had been simmering below the surface for some years came ripping out. Alan Jones has long been a master of vicious personal attack politics. He is frequently sued for defamation and in Sydney (sometimes even called Jonestown) getting on the wrong side of Alan Jones can be a career limiting move. He has a soapbox and an audience and he frequently attacks his enemies. Many years of doing this and Jonesey has many enemies - rusted on enemies. Now Jones is victim of personal attacks mostly organized through Facebook. The tactics that "Sack Alan Jones" with 21 thousand likes on Facebook use don't look that dissimilar to Alan Jones and watching Jones criticize their tactics has a touch of irony about it. The Anti-Jones-anti-mysogeny group Destroy the Joint** (also with about 20 thousand followers on Facebook) uses similar tactics. There were also over 100 thousand signatures on an electronic "sack Alan Jones" petition. It is not looking good for Jonesey now. But not so bad either. His audience has gone up prodded a little by controversy (although advertising revenue has plummeted). And the right-wing News Corp press have been relentlessly pro-Jonesey through the whole affair - with the press even saying that the campaign has turned Jonesy into a "free speech martyr". Even the left-wing radio host Phillip Adams tweeted that "media scandals seem to have the shelf-life of yoghurt... Jones has gone from dangling in the wind to back in full swing". Sure, some major brands have advertised and retreated - cowered by hundreds (maybe thousands) of people hitting their complaint page. Personal-attack campaigning by the anti-Jones crowd still works at least on some advertisers. 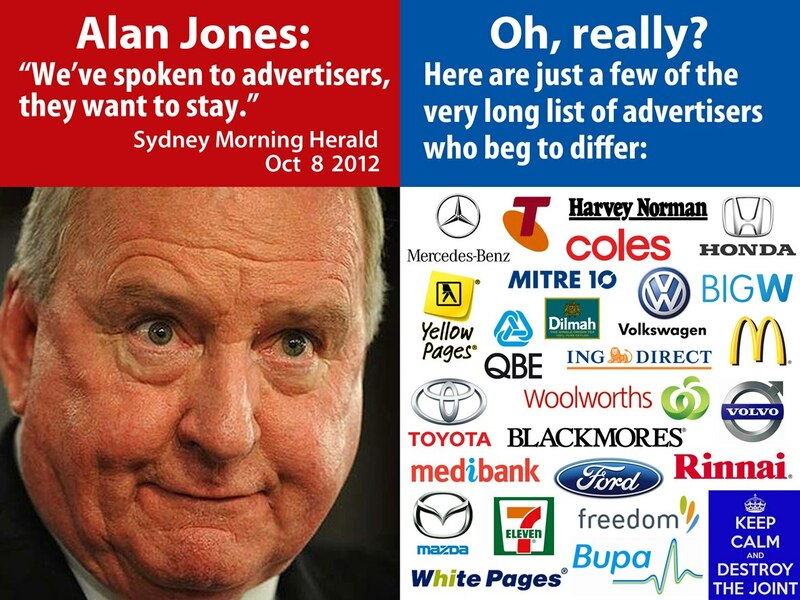 Strangely Alan Jones started doing straight-to-the-microphone adverts for Apple - the most powerful consumer brand of all. The message was clear - if Apple are not afraid to advertise on Jones show then the blockade must be over. It turns out that Apple did not buy that advertising. Jones was just giving away free space. The anti-Jones crusaders would argue that the Apple adverts were just part of the Jones deception - a deception that Jones is back in business. Here is the question: can a couple of Facebook groups with 20 thousand members each and a 100 thousand strong email list maintain the rage? Is social networking more powerful than a fabulous communicator-with-a-microphone and a rusted on audience? Can personal attack campaigning be sustained on Facebook? Note that the Murdoch press (which is very prominent in Australia) is - consistent with its political leanings - backing Alan Jones. There is a direct stock market way of playing this. Macquarie Radio Networks - the company that controls the Jones show is listed. But honestly the Business Partner and I cannot decide. So we just had a bet. It is only $50 (we are not big-swingers here) but I think the Jones show will be gone in six months and that social networks provide very high and sustainable advertising values and negative feedback from social networks is a major-corporation nightmare. Five and a half months from now we will declare a winner and $50 will duly change hands. It is the Facebook mob versus Radio demagogue - a powerful but admittedly uncontrolled experiment in social media versus traditional media. From an investing perspective from this we will learn a great deal about the power and the limits to that power of Facebook. PS. We argue more generally about the value of Facebook. We own a small amount of that stock which I think is unjustifiably cheap - but again the Business Partner disagrees. *Full disclosure: I don't like our Prime Minister either - but for other reasons. **The name of "Destroy the Joint" comes from Jonesy's assertion that women (namely the Prime Minister and the Sydney Mayor and a female police chief) are destroying the joint. The last post I suggested the Wall Street Journal may be being played by stock promoters (re Focus Media). I still think that. Harbin reminds me (as if I need reminding) that it can go wrong for short sellers (especially the vocal kind). But it can go wrong for journalists as well. The stock market has a way of reminding us we can all be wrong. In the journalists-can-stuff-up light I will repeat the single most infamous instance of journalists being played by stock promoters. This was Leslie Stahl's Sixty Minutes piece on Biovail (a Canadian pharma company with extremely dodgy accounts). Stahl swallowed hook-line-and-sinker the view that there was a conspiracy of short sellers determined to spread lies about the stock and destroy the company (and hence the value of mom-and-pop investments). It was pitched as evil hedge funds versus Main Street. And it was entirely wrong. Biovail was faking its accounts and it eventually dismissed the CEO Eugene Melnyk. Melnyk was later banned from public companies in Canada and paid large fines in the US. But not until well after he completely hoodwinked Leslie Stahl. All the short allegations were correct. Sixty Minutes has now taken down the piece which means I cannot replay it to you in all its ignominy. However to the best of my knowledge they never apologized to the people they defamed. To be fair though not all journalists fell for it. Joe Nocera of the New York Times was sceptical of the Sixty Minutes piece almost straight away. The Ludwig von Mises institute (not my usual source) sided with Nocera. In other words there were good reasons - at the time Sixty Minutes went to air - to doubt the story Stahl presented. We are all going to get it wrong sometimes. Financial markets however are full of people with an incentive to report falsehoods whether it be stock promoters (as per Eugene Melnyk) or - dare I say it - the odd short-seller. Because so much money is involved you can safely assume that most sources are dripping with vested self-interest. And some are flat lying. The hurdle rate for a financial journalist is thus high. "Anonymous sources close to the deal" is something that journalists should take with caution. Double caution in China where the fraud level is high. When financial journalists get it wrong they facilitate criminal activity. Just ask the haplessly played Leslie Stahl. Her report increased the profits of insider-sellers of Biovail at the expense of her Main Street audience. Oops. I think the Wall Street Journal has been played here just like Leslie Stahl. And I could be wrong too. Give it four weeks and I will report back. PS. I have spent a lot of time trying to work out what went wrong with Harbin. Harbin Electric's accounts did not meet the plausibility test. The company was actively misleading on many occasions - and yet the deal did close and whilst the above mentioned Asia-rumour-mill tells me the deal will be a failure it will not be an abject failure. There was something there at Harbin and it was not obvious in the accounts. Here is my best theory as to what happened. In some Chinese cities you were not allowed to buy land unless you had an industrial business to put on that land. So people started fake businesses to buy and speculate on real land. Later they reverse-merged the fake business (complete with fake accounts) into the US market. That was for most of these fake businesses the end of it. However in some instances (Harbin and at least one other) the land appreciated so much that the company was worth owning even though its business was largely fake. And so a go-private transaction made sense. The shorts were right that the accounts were nonsense. But they were wrong on the thing that mattered. There was value there - just not the value everyone thought! On the 13th of August 2012 Focus Media received a go-private proposal from its founder and a collection of private equity firms. That was 94 days ago - a bit over three months. In that time there has been very few announcements from the company. On August 13, 2012, the Company announced that its Board of Directors had received a preliminary non-binding proposal letter, dated August 12, 2012, from affiliates of The Carlyle Group , FountainVest Partners, CITIC Capital Partners, CDH Investments and China Everbright Limited and Mr. Jason Nanchun Jiang, Chairman of the Board and Chief Executive Officer of Focus Media, and his affiliates (together, the "Consortium Members"), that proposes a "going-private" transaction (the "Transaction") for $27.00 in cash per American depositary share, or $5.40 in cash per ordinary share. According to the proposal letter, the Consortium Members will form an acquisition company for the purpose of implementing the Transaction, and the Transaction is intended to be financed with a combination of debt and equity capital. The proposal letter states that the Consortium Members have been in discussions with Citigroup Global Markets Asia Limited, Credit Suisse AG, Singapore Branch and DBS Bank Ltd. about financing the Transaction and that these banks have provided certain of the Consortium Members with a letter dated August 11, 2012 indicating that they are highly confident of their ability to fully underwrite the debt financing of the Transaction subject to the terms and conditions set out therein. The Company's Board of Directors has formed a committee of independent directors (the "Independent Committee") to consider the proposed transaction. No decisions have been made by the Independent Committee with respect to the Company's response to the Transaction. There can be no assurance that any definitive offer will be made, that any agreement will be executed or that this or any other transaction will be approved or consummated. The Company does not undertake any obligation to provide any updates with respect to this or any other transaction, except as required under applicable law. SHANGHAI, Aug. 23, 2012 /PRNewswire-Asia/ -- Focus Media Holding Limited ("Focus Media" or the "Company") (Nasdaq: FMCN) today announced that a committee of independent directors of the Company's board of directors (the "Independent Committee") has selected J.P. Morgan Securities (Asia Pacific) Limited ("J.P. Morgan") as its financial advisor and Kirkland & Ellis International LLP ("Kirkland & Ellis") as its legal counsel. There has been no announcement since. That is 83 days of nothing. Well not quite nothing - the company announced that they were having an AGM but did not mention the go-private proposal. 83 days is a long time for there to be no-progress on a deal which had "highly confident" funding. Surely there is some development - positive or negative - to report in that 83 days. Even without 83 days of nothing this deal would be controversial. Muddy Waters - the research firm that exposed the fraud at Sino Forest - has been very critical of Focus Media's accounts. I have released a many-part series exploring peculiarities in Focus Media's accounts - see Part 1, Part 2, Part 3, Part 4, Part 5, Part 6, Part 7, Part 8, Part 9, Part 10, Part 11, Part 12, Part 13, Part 14, Part 15, Part 16, and Part 17. My many part series did not prove that the accounts are fraudulent. It did however demonstrate some peculiar things - for instance the company purchased many seemingly unrelated businesses registered in the British Virgin Islands where all of those businesses somehow had the same address at the same lawyers office. Moreover in at least one instance they closed on the purchase of a business (by purchasing its holding company) before that holding company was even registered. Here is the rub. Either this deal is real and just very slow or this deal is a complete show pony whereby insiders are dumping huge amounts of their shares - shares valued on a multiple of earnings from highly peculiar accounts. In one instance the stock should go to $27 - the take-out price. In the other instance the stock should go to single digits (possibly zero) because it is a show-pony dressed up to extract monies from Western investors. 83 days since the latest news, 94 days since the announcement of the deal. Remember that. Progress of this deal is newsworthy. This is the largest leveraged buyout deal ever in China - a watershed for the Chinese private equity business. And the media abhor a vacuum. There have been two key news stories since the deal was announced. Each has acted to support the stock. Citigroup, Credit Suisse and DBS Bank are leading the three-part buyout financing, which consists of a $950 million to $1 billion term loan, a $200 million to $300 million bridge-to-bond facility and a $450 million cash bridge, Basis Point reported. The term loan is expected to have a five-year tenor, while the bridge financings will have six- to nine-month maturities, the report added. The company is looking to put together an underwriter group of six or seven banks and terms of the financing are likely to be finalised in about two to three weeks, Basis Point said. That story was dated 11 September. They said the deal would take two to three weeks to be finalized. It is two months now and there is no news. I think we can safely conclude that the Basis Point/Reuters report is wrong at least with respect to the timing. More recently Prudence Ho and Isabella Steger of the Wall Street Journal said that Merrill Lynch, Deutsche Bank and UBS were going to help finance the Focus Media deal. That story was sourced to "two people familiar with the transaction". In other words anonymous sources. Those banks were to be joining the three original banks on the deal (Credit Suisse and DBS). Again sourced to "the people". These anonymous people were very specific: "the six banks plan to provide a total of $1.65 billion in financing, made up of a cash bridge loan, a long-term loan and a high-yield bond". The Wall Street Journal story was dated 2 November. One of the Ho/Steger anonymous sources said "the banks will sign the formal financing documents next week at the earliest". Needless to say that has not happened either. Has the Wall Street Journal been played? Good anonymous sources are part of journalism - but any journalist should ensure that they are not being played with self-interested falsehoods by these sources. It looks awful like Basis Point were played. They published the financing was likely to be finalised in "two to three weeks" and it is now two months. The information could have been good and the timetable slipped - but as there was no follow up from Basis Point it is likely the information was flat false. It is also possible that Ho & Steger (and the WSJ) have been played as well. It might be true that Merrills, Deutche and UBS have all joined forces to close this deal (in which case the Wall Street Journal has a story). But if not the story is a journalist's train-wreck - and should cast into doubt all the work by these fine journalists. I started writing what I thought a journalist should do with an anonymous source when the source has been lied to them - but there are people far more versed in journalist ethics than me. But forget the ethical issue - this is for financial newspapers a business issue. The financial press is the only part of the print media that has managed to establish pay-walls around their content. And for good reason too - reading the financial press is about making money and you can justify paying for that. But when gullible journalists are played then acting on information in the financial press becomes a way to lose money. And what is the point in paying for that? Great Northern Iron is a funny traded instrument. It is a trust. The trust expires on 6 April 2015 when they will have one final cash payment and go to zero. At the end of the Trust on April 6, 2015, the certificates of beneficial interest (shares) in the Trust will cease to trade on the New York Stock Exchange and thereafter will represent only the right to receive certain distributions payable to the certificate holders of record at the time of the termination of the Trust. Upon termination, the Trust is obligated to distribute ratably to these certificate holders the net monies remaining in the hands of the Trustees (after paying and providing for all expenses and obligations of the Trust), plus the balance in the Principal Charges account (this account is explained in the Trust’s Annual Report within the Notes to Financial Statements). All other Trust property (most notably the Trust’s mineral properties and the active leases) must be conveyed and transferred to the reversioner (currently Glacier Park Company, a wholly owned subsidiary of ConocoPhillips Company) under the terms of the Trust Agreement. The exact final distribution, though not determinable at this time, will generally consist of the sum of the Trust’s net monies (essentially, total assets less liabilities and properties) and the balance in the Principal Charges account, less any and all expenses and obligations of the Trust upon termination. 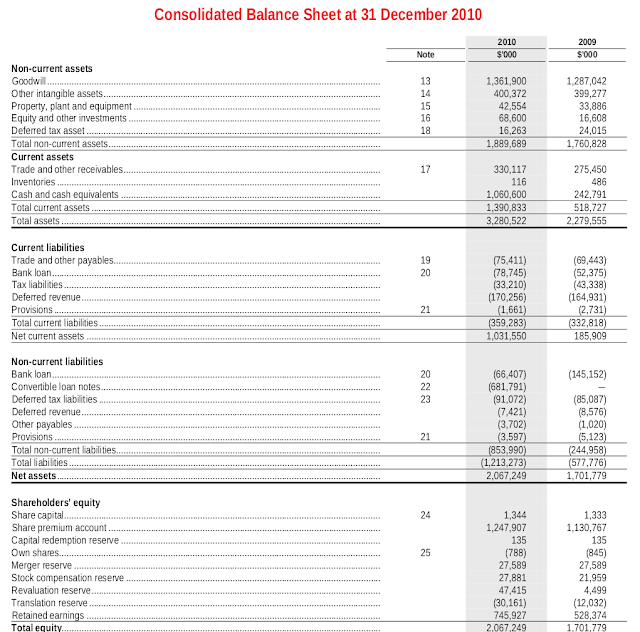 To offer a hypothetical example, without factoring in any expenses and obligations of the Trust upon its termination, and using the financial statement values as of December 31, 2011, the net monies were approximately $7,927,000 and the Principal Charges account balance was approximately $4,962,000, resulting in a final distribution payable of approximately $12,889,000, or about $8.59 per share. After payment of this final distribution, the certificates of beneficial interest (shares) would be cancelled and have no further value. It is important to note, however, that the actual net monies on hand and the Principal Charges account balance will most likely fluctuate during the ensuing years and will not be “final” until after the termination and wind-down of the Trust. The Trust offers this example to further inform investors about the conceptual nature of the final distribution and does not imply or guarantee a specific known final distribution amount. The only thing that unit holders in the trust are entitled to is dividends between now and April 2015 - plus a final termination payment. The "stock" trades are an amount higher than any amount of dividends likely to be received. It is thus an obvious short and many people have written about it (notably including Citron). Here is a typical example. This is all well known. Buy this "stock" and you are nearly guaranteed to lose money. Because that is so well known the stock has a 20 percent borrow cost - roughly offsetting the profit you will get from shorting it. In that sense there is a rational market. But that is the only sense there is a rational market. People own this. They will lose money. Ponder as a might I can't think of who the suckers might be. Except one group. Computer driven trading firms. They see the high profits (iron ore prices are not low yet) and the 18 percent dividend yield and the algorithms tell them to own this. Maybe them and some really dumb dividend chasing retail investors. This should distress me - but it doesn't. I like ill informed people making stupid investments in the market and their persistence pleases me. They have a name: counterparties. May there be many more of them!